Print Monkey » Always a different way…. …… to read…! I’ve discovered audio books! I love to read, the only real time I get is before bed, which often means, I’ve fallen asleep after a couple of pages and I’m not entirely convinced this is the best time to ‘learn’. I spend a lot of time in the car, so I have embraced the Audio Book! 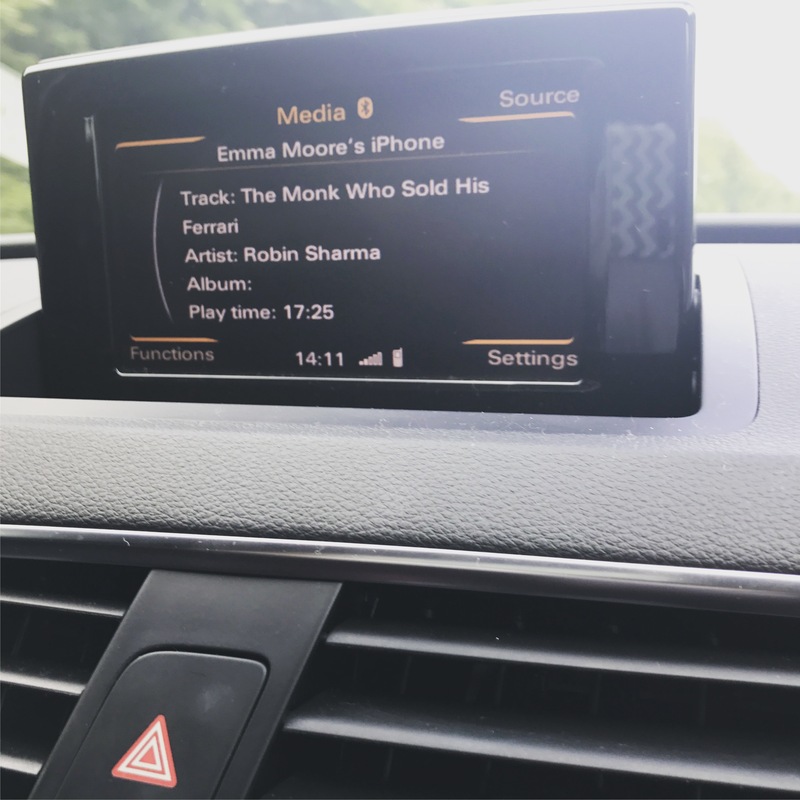 The Monk Who Sold His Ferrari was recommended to me a long time ago, it has it moments of stepping into a bit of ‘woo woo’ but listening to it, I think made it much easy to digest, it’s written as a fable so to have that read to you is a real luxury! There is loads of information on taking the path to a more enriching, fullfilling life, and without being too mushy, it’s a very uplifting heart warming story!